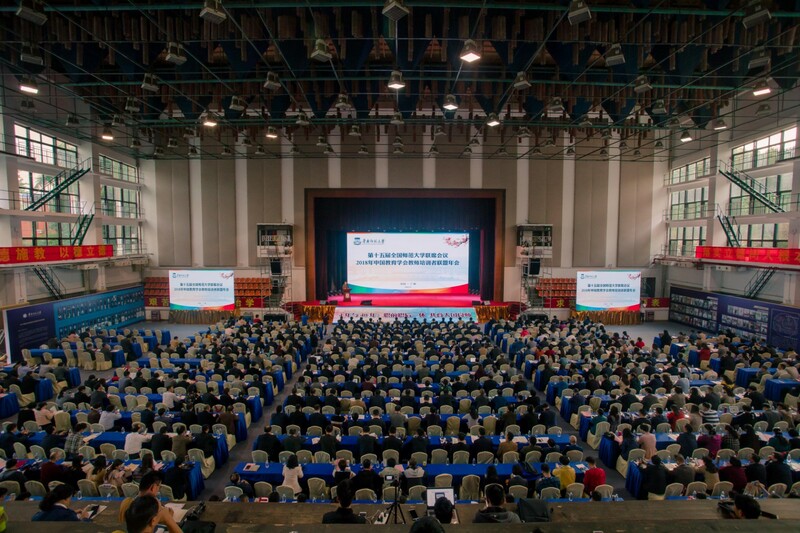 From November 23 to 24, the 15th Joint Conference of Chinese Normal Universities and the 2018 Annual Conference of the Union of Teachers and Trainers of the Chinese Society of Education were jointly held at South China Normal University (SCNU). 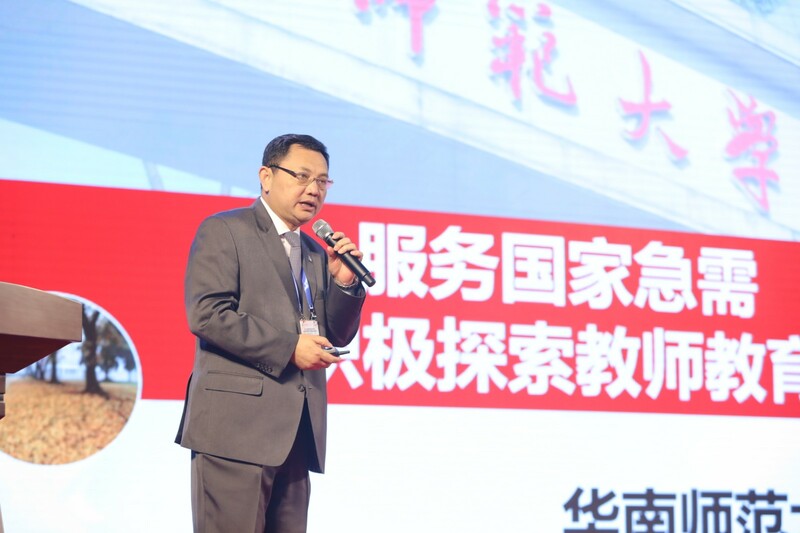 The 15th Joint Conference of Chinese Normal Universities was hosted by SCNU, while the Annual Conference of the Union of Teachers and Trainers was co-organized by SCNU and the Chinese Society of Education. 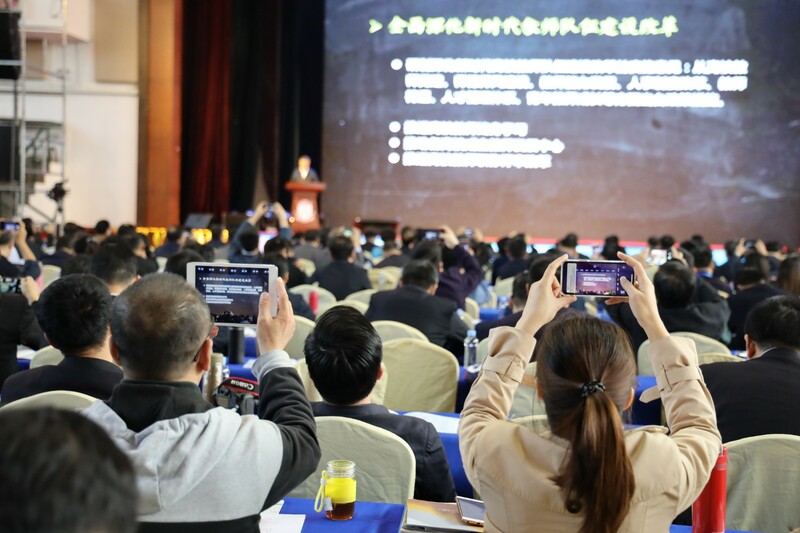 Over 600 experts from 47 normal universities in Chinese mainland as well as the Education University of Hong Kong and University of Macau, together with over 400 teacher and student representatives attended the conference and discussed how to cultivate a good teacher in the new era. Under the theme of "Implementing the Party Central Committee's Decisions, Creating Great Teachers in the New Era", the participants studied the spirit of the National Education Meeting, discussed in depth the development of a long-term mechanism for the cultivation of teachers' morality in the new era, the development of teachers' education disciplines, and teachers’ education system, teacher professional certification for the teacher major, and the cultivation of outstanding teachers in the new era. It should be noted that teacher education deals with not only the cultivation of students at normal universities nowadays, but also systematic pre-employment training and teacher training, integrated and coordinated development of pre-employment and post-employment. 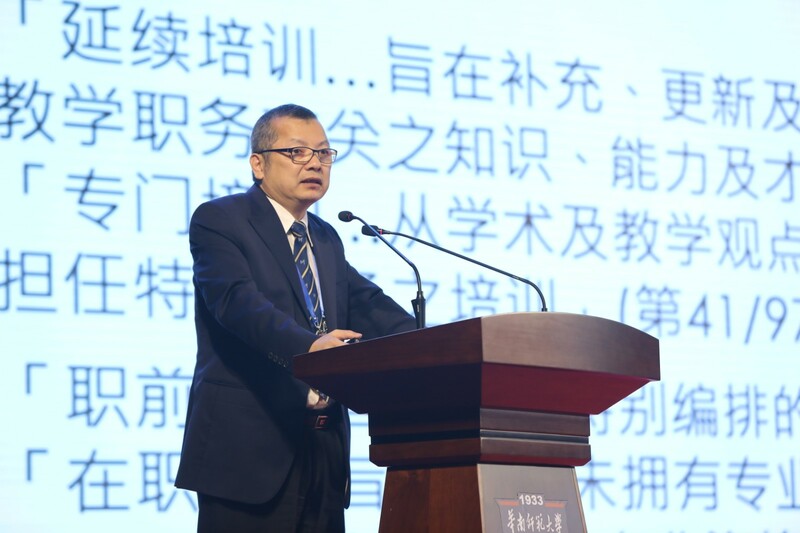 It is the first time that the Joint Conference of Chinese Normal Universities and the Annual Conference of the Union of Teachers and Trainers of the Chinese Society of Education were jointly organized, with the purpose of forming an effective path for the integration of pre-employment and post-employment of teacher education, promoting the reform and development of teacher education and cultivating outstanding teachers across the country. 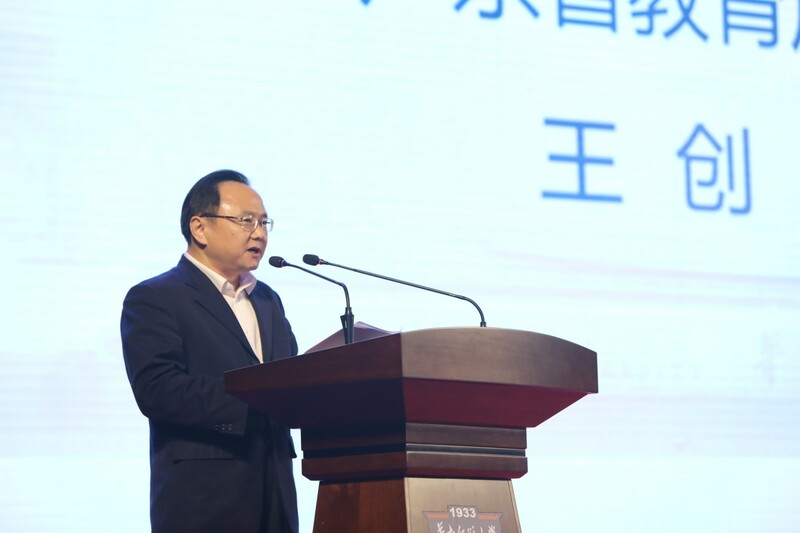 At the opening ceremony, Ren Youqun, and Huang Wei, respectively director and deputy director of the department of Teacher Education of the Ministry of Education, Wang Chuang, deputy director of the Guangdong Provincial Education Office, Yin Houqing, vice president of the Chinese Society of Education and director of the Union of Teachers and Trainers made keynote speeches. 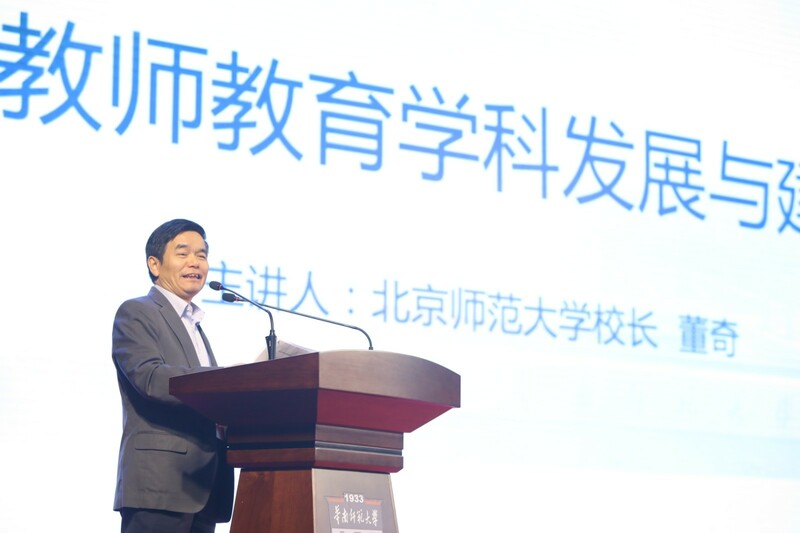 Ren Youqun pointed out that there are currently 589 universities cultivating students to be teachers in China, of which 192 are normal universities. 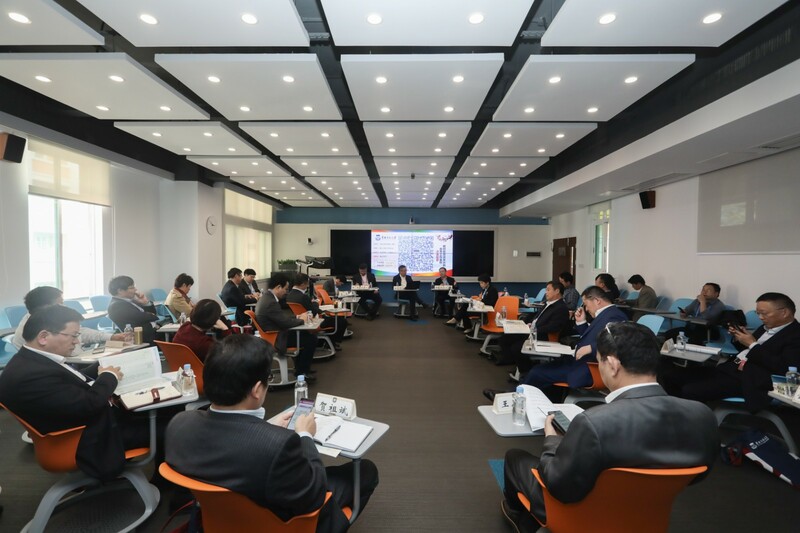 However, there is still a gap between the present situation of teachers’ cultivation, training and future requirements of building a strong educational country and promoting the modernization of education. 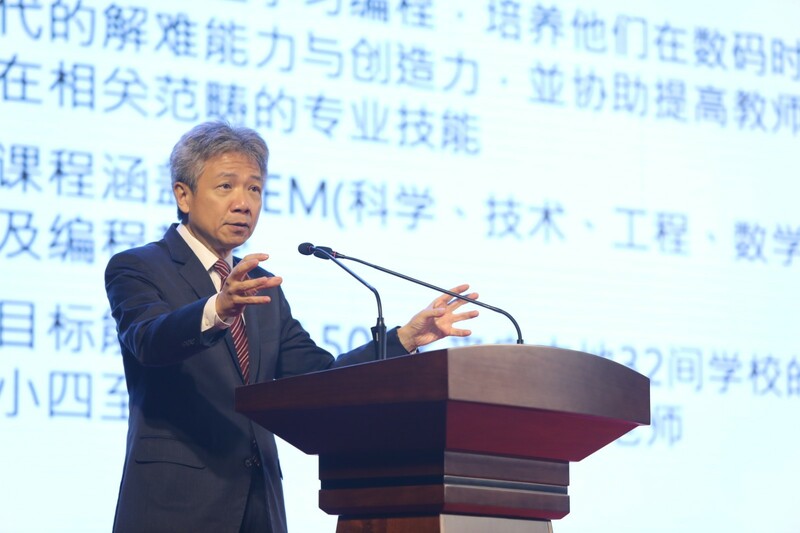 He also emphasized that we should ensure that normal universities adhere to the principle of teacher education as their main profession, encouraging local governments to implement the policy of free normal students according to actual conditions, promoting the integration of teacher education and in-service teacher training, and striving for the revitalization of teacher education. 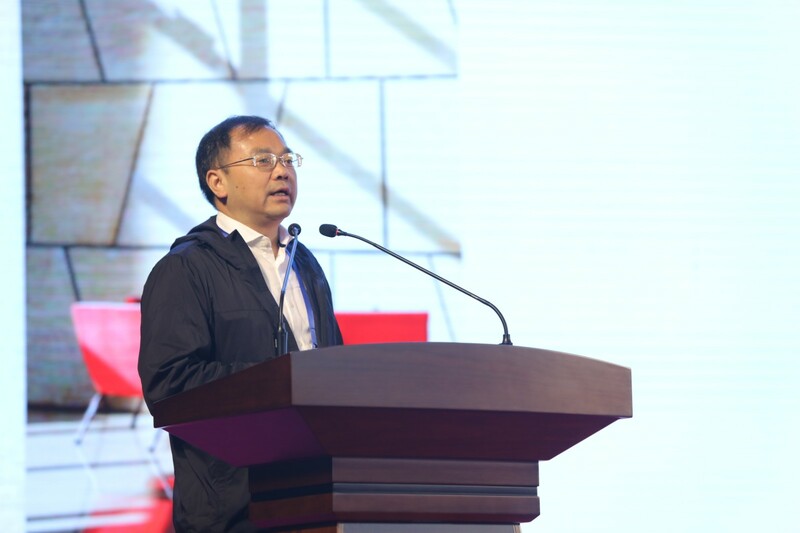 Huang Wei said that the joint opening of the two conferences are of great significance, and provides a good platform for the two teams to communicate and exchange their ideas. This is a meaningful attempt in comprehensively deepening reform and development of the two branches of teacher training, improve teacher education and promote the integrated development of teachers before and after graduation and employment as a teacher. 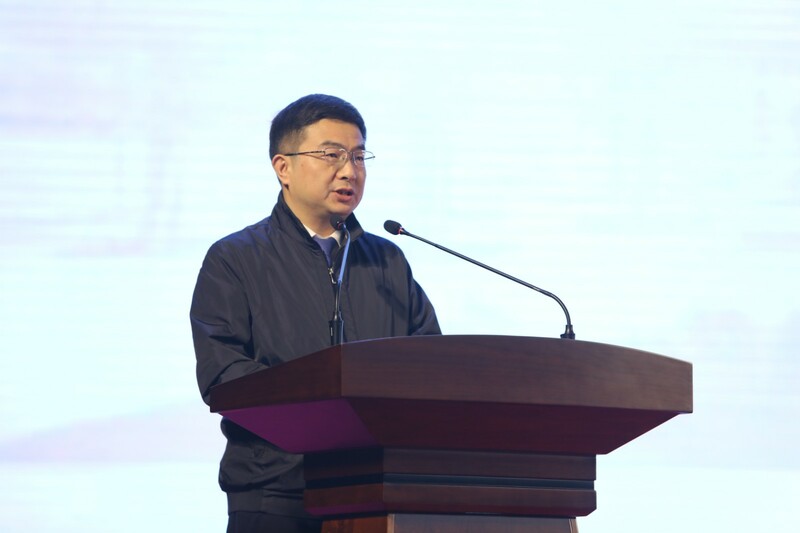 Yin Houqing agreed that the joint convening of the two conferences is a great event for teacher education. With the team of pre-employment cultivation and that of post-employment in-service training coming together, it marks the completion of pre-employment post-employment integration. 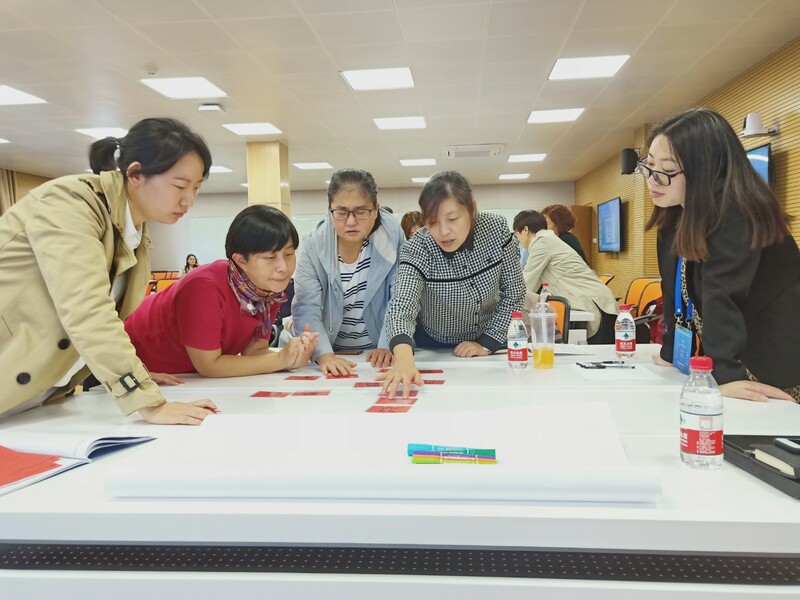 He expected teacher trainers to explore effective methods to promote the professional growth of teachers, and work together to more effectively contribute to the development of education in China. 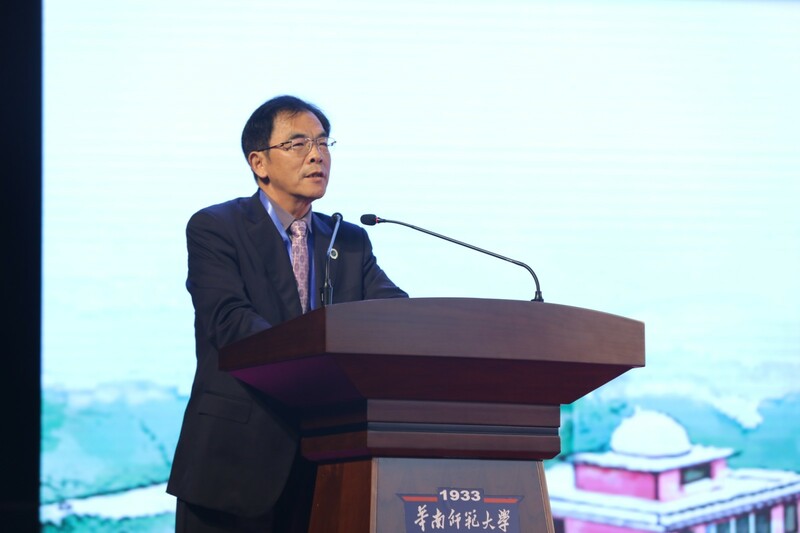 Wang Chuang spoke highly of SCNU's efforts in teacher education. 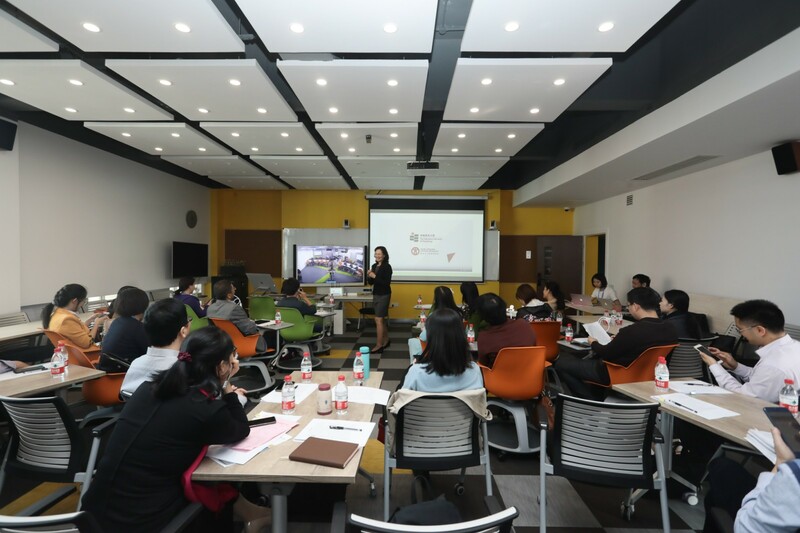 SCNU, as the leader in teacher education in South China, was the first to cultivate master students in the field of teacher development and management in China. 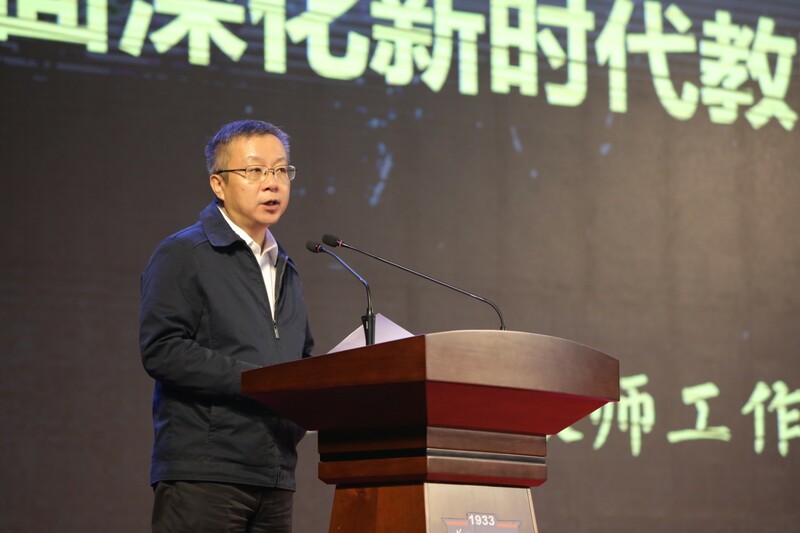 It also took the lead in setting up a Teacher Education Department, strengthening the construction of the whole chain of disciplines, promoting the integration of pre-employment teacher education and post-employment in-service teacher training, and makes great contributions to shaping the mode of teacher education with Cantonese characteristics and implementing the "new normal" strategy. 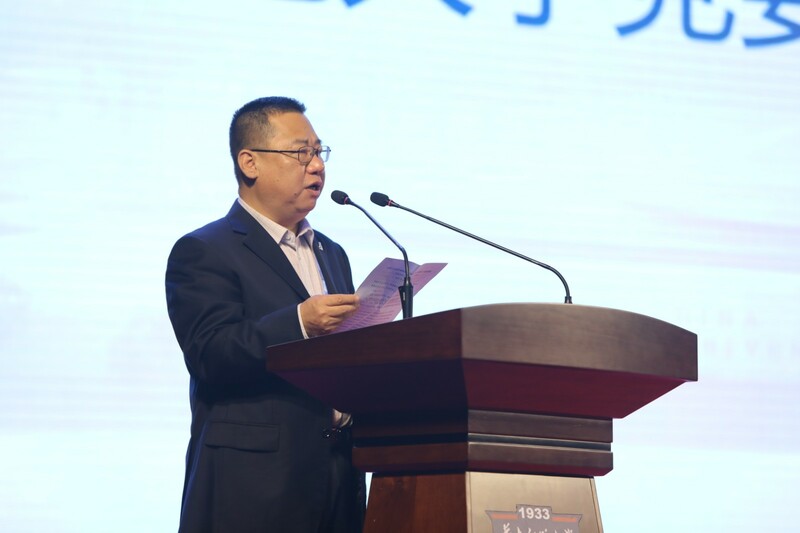 Party general secretary of SCNU Zhu Kongjun introduced SCNU in his speech. 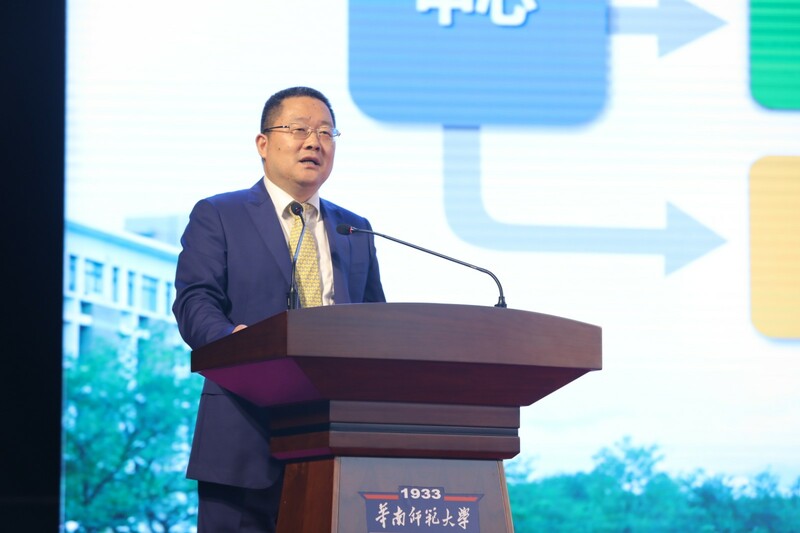 He mentioned that SCNU has actively seized the opportunity in the development of the "double first-class" university and Guangdong Province high level university as well as the development of the "new teacher" in Guangdong. 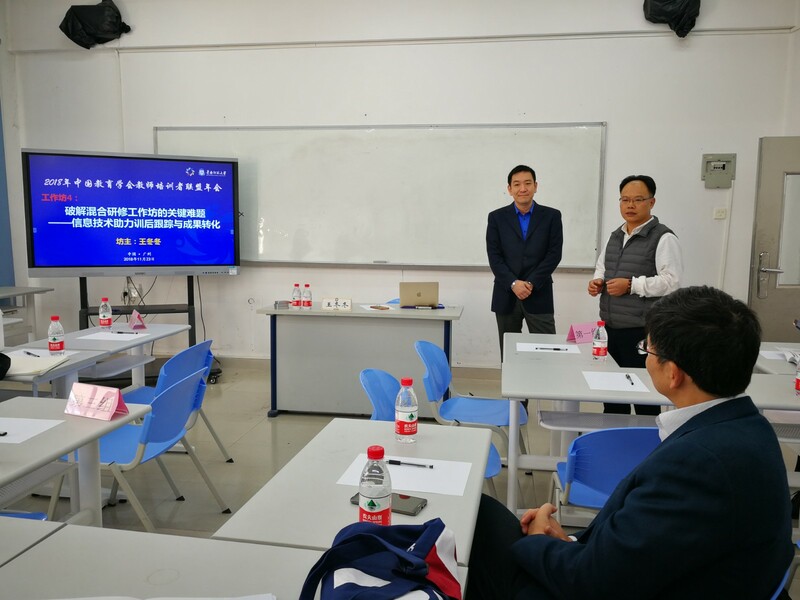 Besides, SCNU attaches great importance to the role of teacher education, aiming to develop teacher education with its own characteristics. Moreover, it has formulated the "New Teacher Development Action Plan", established a Teacher Education Department and the Institute of Teacher Development Evaluation, and initiated the establishment of the "Teacher Education College in the Guangdong-Hong Kong-Macao Greater Bay Area", continuously increasing the reform and innovation of teacher education. 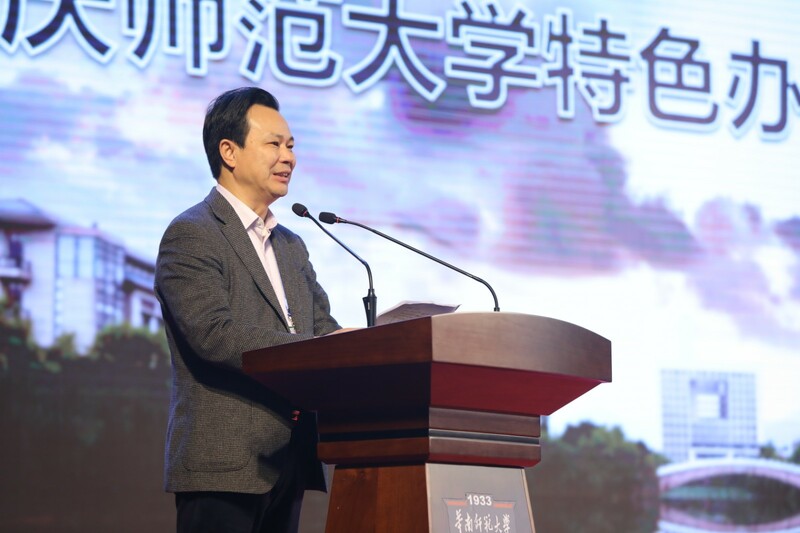 In addition to these wonderful opening of keynote speeches, leaders from nine normal universities also shared their experience and thoughts at the conference. 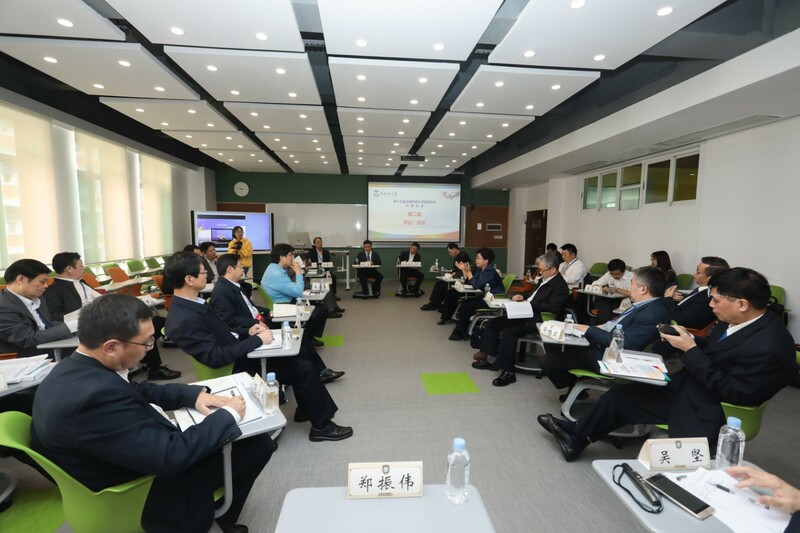 They were respectively from Beijing Normal University, East China Normal University, the Education University of Hong Kong, the University of Macau, Central China Normal University, Capital Normal University, Zhejiang Normal University and Chongqing Normal University. They touched upon a series of topics such as how to lay the foundation for teacher cultivation and development, how to deepen the reform of the master of education, how to strengthen the cultivation of teachers' morality, etc..
ZHENG Zhenwei, vice dean of the Faculty of Education, University of Macau gave a speech titled "Cultivation of Chinese Teachers in Macao"
Party General Secretary of Capital Normal University Zheng E gave a speech titled "Comprehensively Enhancing Teacher Morality Featuring Professionalism, Practicality and Novelty"
In the afternoon, several round table sessions were held at which general secretaries, presidents and related department leaders from different universities as well as experts and representatives were present and had in-depth discussions about innovation and specialization of teacher training. Meanwhile, eleven workshops were held, covering a wide range of topics such as "Demonstration of the new mode of teacher training in Hong Kong and Macao -The change of teacher team"; "Strategies for improving teacher training core competence -How to design practical teacher training courses"; "Application of flipping classroom in teacher training"; "Change of excellent teacher training content"; "Direction and path: Innovative design of school-based research content", "Question matrix, an effective tool of innovative thinking, activates thinking: let teachers learn to guide students to ask questions" etc..
On the morning of 24 November, a series of micro-reports by famous experts was held. 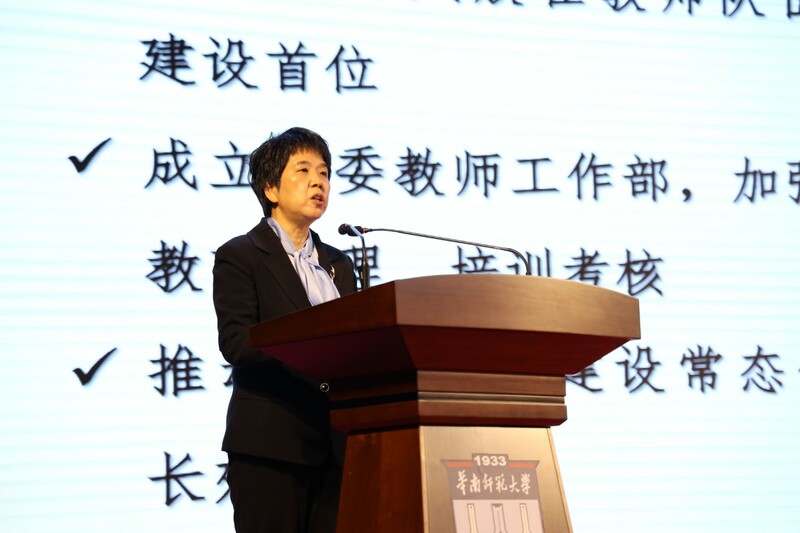 For example, Yin Houqing, vice president of the Chinese Society of Education delivered a speech entitled "Noticing the changes of teacher's role from the aspects of teaching and learning". 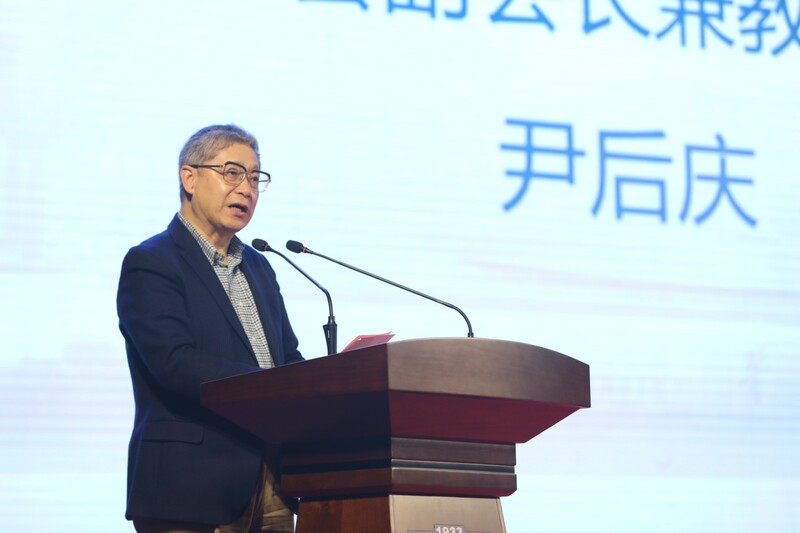 In his speech, he emphasized the need for transfer from the teaching-based classroom to the learning-oriented classroom, and teaching that focuses on the knowledge must be changed into paying attention to core competences. 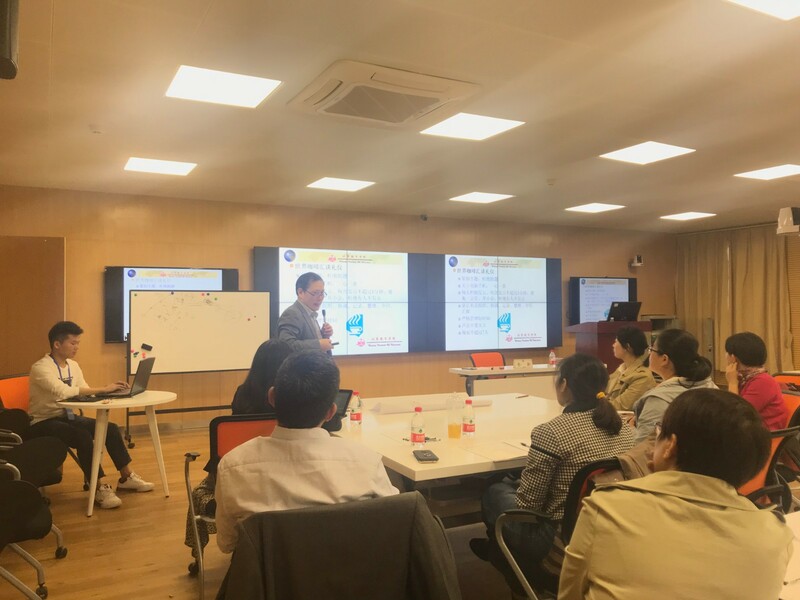 Gu Jinshan, HR of TCL, introduced his companies’ talent cultivation system - "eagle series", while Song Dongsheng, director of a Shanghai education institution, gave a lecture about seven connections. Many other experts have also taken this opportunity to share their views about the wisdom of education. 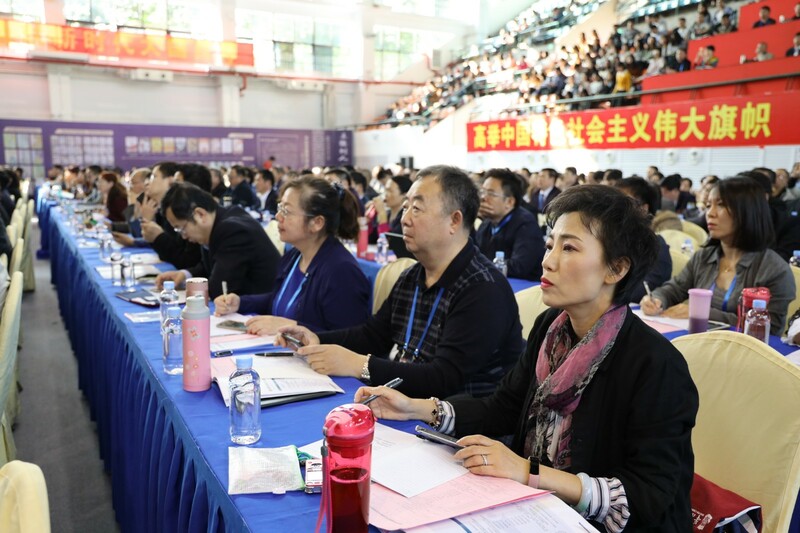 During the two-day conference, the Guangzhou Declaration on the Promotion of the Revitalization of Teacher Education in the New Era was released. 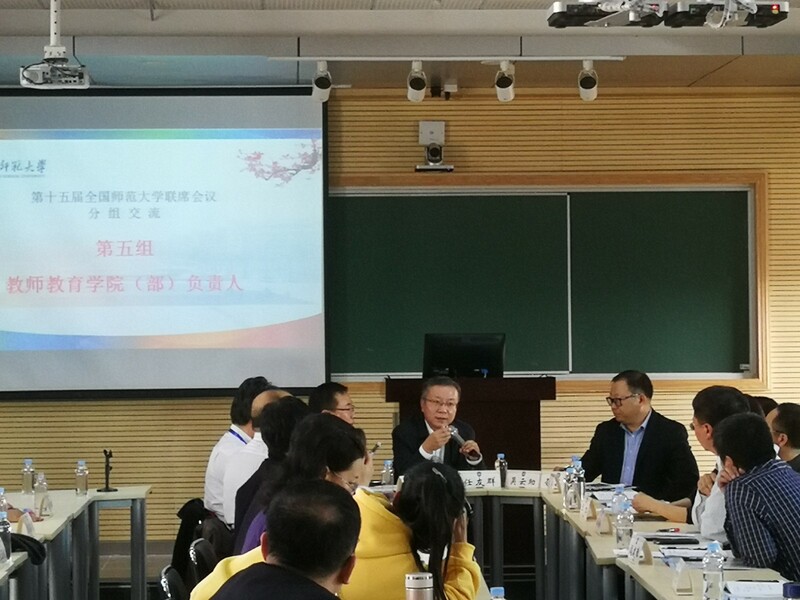 Besides, the handover ceremony of the Joint Conference of Chinese Normal Universities was held. 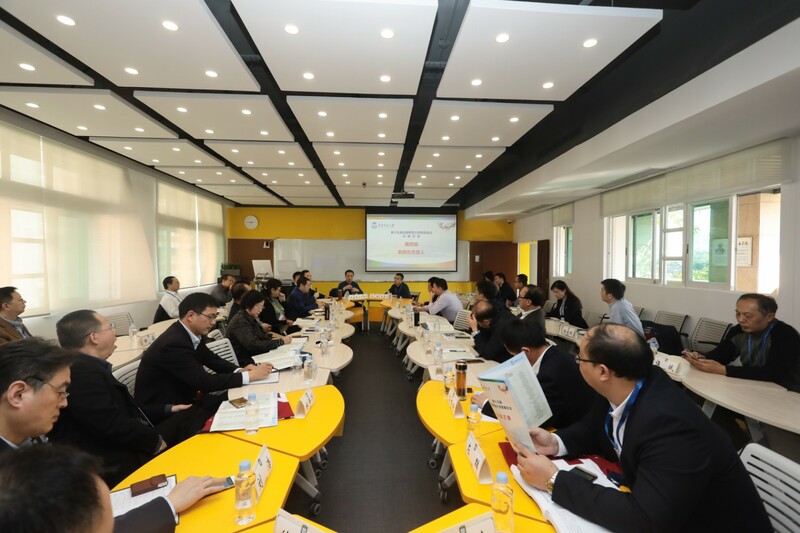 The 16th Joint Conference of Chinese Normal Universities will be held at Beijing Normal University next year.